If you are a full time equity trader/investor the basic requirement is to read a lot during the available time. Also during a boring or downtrend it is better to add skillsets by learning/reading on various topics. I have found blogs as a good source of reading and many of the blogs below have helped me learn more about investing. Blogs give a good perspective from an actual practitioner with real life examples and can aid your understanding of various theory you have read in books. Fortunately we have a lot of bloggers in India writing on investing and trading. Many of the bloggers have stopped writing since SEBI regulations and personal commitments but their past posts are a good source of learning. In this post we are trying to list down some of the best blogs on Invest in India. Disclosure - A lot of bloggers would have their advisory services and other products. Its not a recommendation on the same. We are covering it only from the aspect of educational purpose. Presentation on Floats and Moats. Safal Niveshak by Vishal Khandelwal. He is the most active blogger amongst all and has a huge no of posts on various topics in Investing. It's a great place to start to learn about investing and the thought process around it. There are a lot of Interviews of famous Value Investors. You would not get stock examples but only thought process. Puneet is a MBA from MDI Gurgaon and has worked in a couple of hedge funds before going on his own as an independent investor, trainer and entrepreneur. The stoicinvesting blog has long and insightful podcasts of interesting investors from India and abroad. You need to pull out some time and binge on some of the podcasts. Wait: Don’t Read Warren Buffett Letters!!! THOUGHTS ON THOUGHTS by Neeraj Marathe. He does not write on his blog anymore given the regulations but if you want to be a better investor you can read what he shares on twitter. For last 1 year plus he has been sharing one good read every day on twitter. Samit is one of the founding partners and Chief Investment Officer at SageOneInvestments. This is not exactly a blog but the Memos every quarter and other presentations shared on their newsletters and presentations links are a must read. A lot of in depth research and insights. Abhinav has spent more than a decade in various functions in the Indian mutual fund industry.He is now an independent investor and is also an avid corporate trainer. Niren is a Chartered Accountant by profession and a PGDBM from MDI, Gurgaon. Had the fortune of studying under Prof. Sanjay Bakshi and working with Mr. Raamdeo Agarwal. The last engagement was with the investments team of an AMC.Currently managing own funds, he aspires to known as one of the greatest common sense investors. If only these guys would write frequently. Recent articles are a must read. Is there a ‘Bubble’ in Quality? Ayush Mittal and his brother Pratyush Mittal are independent investors. The blog is not much active post the SEBI regulations but the older posts had many stock specific insights. Apart from being investors the Mittals have created some amazing tools and forums for the investing community. www.valuepickr.com is an active forum for discussing investing and stock research. Read through it and do not post before you go through the detailed rules. Maintain the sanctity of the forum. Jatin is a MBA CFA and a Registered Investment Adviser and also a faculty at some MBA institutes. The blog focuses on Qualitative Analysis with an emphasis on Scuttlebutt. Old stock specific initiating reports are available and are a good read to understand the research process. Alpha Ideas - Investment Blog for the Indian Markets by Raoji. This is not essentially a blog where author writes specific to investing but does an amazing job at collating data and articles from various sources. The linkfest series every week helps you get the best reads. A very active blog and a must subscribe one if you like reading. The author is personally active on twitter. Value Investor India by Rohit Chauhan. This interview has good details about him. Remember reading this blog for a decade and is one of the first blogs on Value Investing in India. Running strong for last 10-12 years. 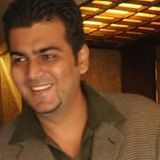 Ashish is a rank holder CA and MBA from MDI Gurgaon. He has worked with leading investment banks like Goldman Sachs & Morgan Stanley in their equity research division and now is the CIO of the group’s investment management division. Ashish regularly speaks on various capital market forums at MDI Gurgaon, ICAI (Institute of Chartered Accountants of India) conferences. At least once or twice a year he comes out very detailed & long presentations on one of the topics in Investing. His presentations are appreciated by all fellow investors. One has to go through his presentations even after his talk given the amount of data in them. "Identifying Businesses exhibiting the Capacity to Suffer"
Quest for Value by Kiran Dhanwada. His old posts on the blog on topics like special situations and stock specific views are detailed and a lot of clarity in thought process. Very few posts on his blog in recent times but he is active on valuepickr and twitter at times. https://twitter.com/_kirand . Hope he starts writing more. The older posts are very detailed. I have piggybacked on some of his ideas in the past. He is a lawyer by profession. He is more active on his twitter account. Vijay is a MBBS followed by a MBA CFA and FRM. He is now an Investment Adviser. The blog has now become more active and there are detailed posts on analysis of annual reports of various stocks , Q&A, governance and much more. He is one of the founders of the Fund and Chief Investment Officer of Eleven Dimension Funds. After two short stints in India he had the privilege to serve United Nations, based out of Europe from 2000 through 2007. Relaxo India or Bata Bangladesh ? This used to be the most active blog on Microcaps/Smallcaps with a lot of comments on each of the posts. More than 100 stocks recommended a year. Of late with regulations the stock picks have stopped. But in between the author now shares good reading material. A blog focused on microcaps and pretty active. They also have an app - Sharebazaar. You can read about him on this page on his blog About me -Dhwanil Desai. Are Markets Overheated in the Small & Mid Cap Space ? Calculated Wagers by Ankur Jain. Ankur Jain is an ex-student of Sanjay Bakshi and has also worked with him for a really long time.If you are interested in value investing do watch for the internship programme he does once in a while. Picking pennies in front of a steam roller ? Profile-- This interview has good details about Kunder. Please mail us your suggestions nooreshtech@analyseindia.com to add to the above list. Nice compilation! Appreciate the effort, thanks!! A great collection of blogs shared by you!!! I will read all of the blogs to know about investing tactics. I hope it will help me to know more about investments.